I’m lucky to be here in Washington, D.C. with Cecilia O’Leary to celebrate a new Smithsonian museum that has been a long, long time in the making. Cecilia donated her historical smarts and passion for social justice for five years; Lonnie Bunch and his staff worked on it for eleven years, starting with no artifacts, no building, and the need to raise more than half a million dollars to realize the project. And one hundred years ago, African American veterans of the Civil War started the campaign for an African American museum in the nation’s capital. 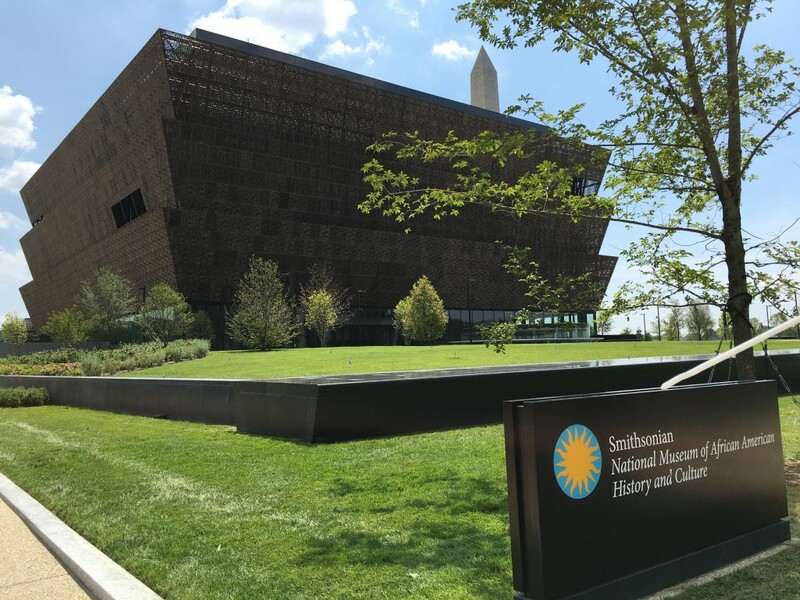 The result is a museum that explains and describes the complex, unfinished struggle of African Americans for freedom and equality; and makes clear the centrality of African American history for American history, something that no other Smithsonian museum tries to do. Visitors of all backgrounds will no doubt feel the weight of this history, but also a sense of people’s resiliency, creativity, and joy. This is a museum for everybody. We are all invited into the call for urgent action here and now. Ericka Huggins remembers as a child being taken to visit the Smithsonian’s National Museum of American History; she was so alienated by its omissions and celebratory patriotism that she could not imagine an American museum doing justice to her reality. But here she was, a few days ago (September 17th), back in Washington, D.C. for a donors’ preview of the National Museum of African American History and Culture with her partner, Lisbet Tellefsen, who has donated several items from the Black Power movement. Ericka is not only a visitor to the museum, she’s also in it: a flyer includes a photo of a young Ericka with a big Afro, announcing a giveaway of 10,000 bags of groceries to Oakland residents, organized by the Black Panther Party in 1972. The museum celebrates the first African American president, but does not end on a celebratory note. There’s also a prison cell from the notorious Angola prison in Louisiana, built on a former plantation that profited from slave labor, and that now houses mostly African American men, many for life; a banner in solidarity with the Attica revolt; and one of the last exhibits in the history section includes artifacts from the Black Lives Matter movement. As we gather to welcome a museum that persisted against all odds, we also mourn the killing by police of yet more African American men, this week in Tulsa and Charlotte, and witness righteous anger on the streets of our segregated cities. This is a museum that recognizes how the past bleeds into the present. *Tony Platt is a founding member of the editorial board of Social Justice, and a Distinguished Affiliated Scholar, Center for the Study of Law and Society, UC Berkeley.